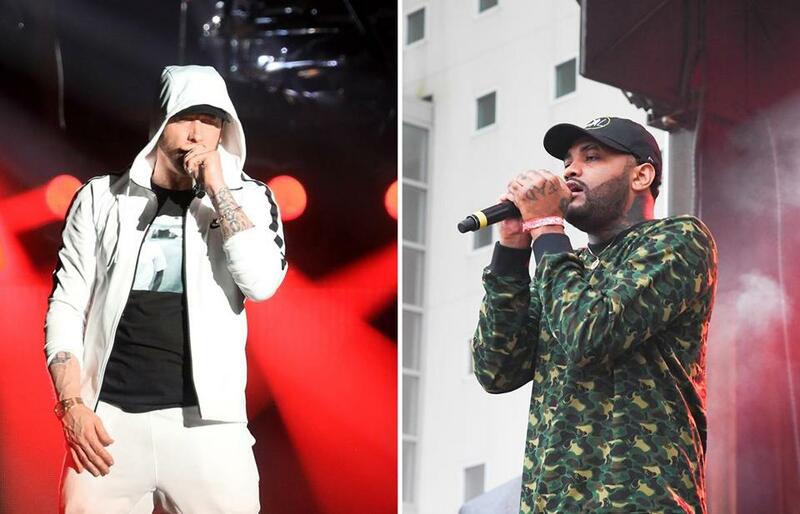 Eminem (left) and Joyner Lucas. Fast forward to 2018: Lucas is no longer a footnote in Eminem’s conversations and interviews — he’s a featured artist on his new album. The album was executive produced by both Dr. Dre and Eminem. Lucas, who graduated from South High Community School, has steadily been making waves in the music industry, keeping his name on top of people’s playlists. His 2017 video “I’m Not Racist” made national headlines and eventually racked up 86 million views on YouTube. It was a year later, almost to the day, that it did. #KAMIKAZE @JoynerLucas and @Eminem in the same song!?. I must be dreaming.